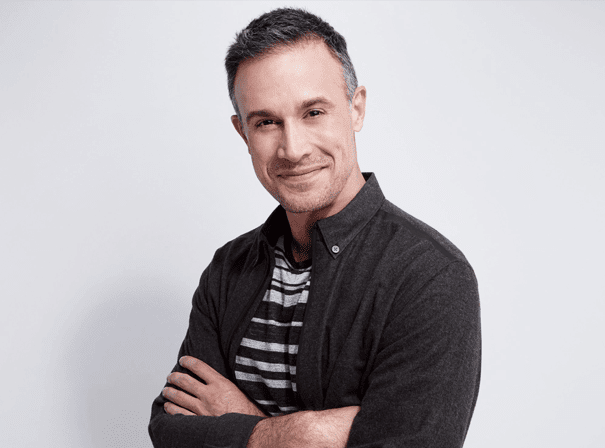 A heartthrob of the 1990’s, Freddie Prinze Jr. is an award winning American actor best known his roles in I Know What You Did Last Summer, She’s All That and Scooby-Doo, as well roles in various television series. Prinze Jr. was born to be in the spotlight. The son of famed Chico and the Man comedian and actor Freddie Prinze, the same talent did not miss Freddie Jr. He first appeared as an actor in 1995 with a guest role on the show Family Matters. His breakout role came just 2 years later in I Know What You Did Last Summer. He reprised his role from this film a year later in the sequel I Still Know What You Did Last Summer. These roles led Prinze to a string of leading roles in films from 1999 to 2001. Prinze Jr. was the leading man in She’s All That, Wing Commander, Down to You, Boys and Girls, Head Over Heels, and Summer Catch. In 2002, Prinze played the role of Freddy Jones in the Scooby Doo movie and reprised that role in the sequel two years later. Prinze’s run of success on the big screen through the 1990’s parlayed into roles on television including a guest appearance on Friends in 2002. In 2005 Prinze was given his own sitcom entitled Freddie where he played the lead as well as writing and producing.. Prinze later had a recurring role on the hit show 24 as Cole Ortiz. At times throughout his career, Prinze has also been a writer for World Wrestling Entertainment’s Raw and Smackdown brands.Prinze lent his voice to episodes for Robot Chicken and Star Wars Rebels in 2018 and is scheduled to appear in an upcoming show, I Mom So Hard.